Wildlife conservationist and film-maker, Karla has been given the role of Ambassador in Mexico and Latin America for the film Keiko, The Untold Story of the Star of Free Willy. 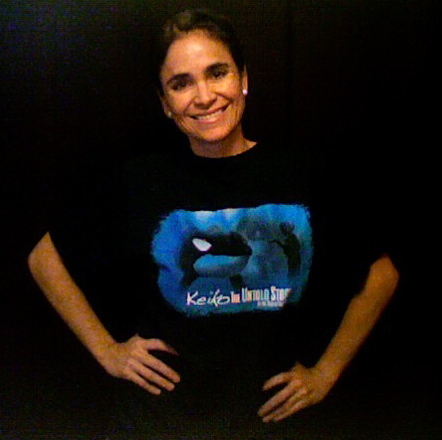 We have entered into an agreement with Karla Munguia Colmenero, wildlife filmmaker and conservationist, to be our ambassador and representative in Mexico for our documentary film Keiko The Untold Story of the Star of Free Willy, which documents the life and true story of Keiko, the orca whale who starred in the hit film Free Willy, and the only orca ever released from captivity into the wild. Karla was nine years old when she first met Keiko at Reino Aventura. At that time she had no idea of the term “captivity”, so she wanted to become a trainer. On her second visit, Karla noticed that Keiko was getting bigger or the tank was getting smaller, so she had second thoughts about becoming an orca trainer. Finally, on her last visit to Reino Aventura at age seventeen, Karla realized that Keiko's dorsal fin didn't look like wild orcas and that the tank was definitely too small for him. After becoming an open water diver and while working for Animal Planet during three years in South Africa, Karla was convinced that wildlife belongs in the wild. Currently, Karla lectures at many schools throughout Mexico to educate students about wild life, ecology, and conservation. With actual footage, and first hand accounts from those involved in Keiko’s journey from captivity to his birthplace in the North Atlantic, Keiko The Untold Story of the Star of Free Willy fits in well with Karla’s conviction that wildlife belongs in the wild. Karla is overseeing the dubbing and translation into Spanish of Keiko The Untold Story of the Star of Free Willy. With the Spanish version completed Karla expects to screen the documentary at Mexican and other South American schools to educate Latin American students about the impact captivity has on orcas and other marine life. In order for us to dub and translate our documentary into Spanish, Karla is seeking US $20,000 dollars from interested patrons to be used by Joshua Records, LLC for the production elements. 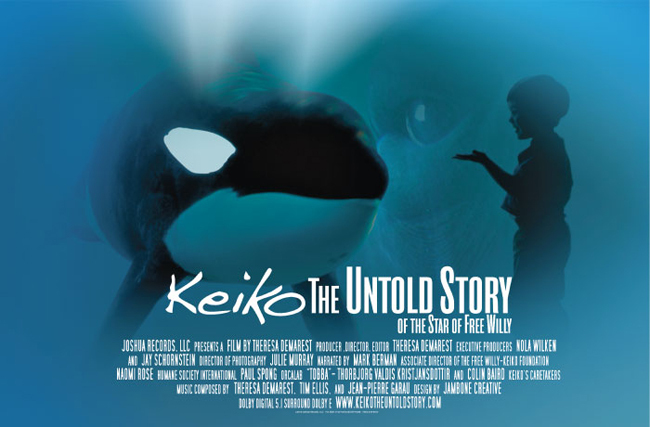 Any patrons helping with this will receive credit in the Spanish version of Keiko The Untold Story of the Star of Free Willy as well as on our website (www.keikotheuntoldstory.com) and Facebook page (www.facebook.com/KeikoDoc). We really hope to have you on board. Please support Karla in any way you can... This film deserves to be shared far and wide, in all languages! You can purchase the film here: Amazon.com or Rent the film here!